Retail leasing has changed in the past decade, with brick and mortar stores going by the wayside. The focus is now on online shopping thanks to its convenience and competitive pricing. Instead of filling spaces with retailers, shopping centers are now focusing on wooing services. Barber shops, gyms and restaurants are more likely to bring in customers to malls and shopping centers. If you live in Florida, you might notice that the presence of barber shops is particularly on the rise. You’re likely to find one every two square miles in Miami-Dade County. There are currently 775 licensed barber shops in the county, with 93 pending. Real estate developers are interested in barber shops because they take up little space while adding value and convenience. From 2011 to 2017, revenues from barber shops have grown from $510 million to $837 million. This is expected to grow to $910 million by 2020. In addition, the population of the United States is expected to grow to 400 million in about 20 years. This will mean more business for barber shops in Florida. In 2016, Miami was named the most friendly city for facial hair. One Florida barber shop in particular, Primos, has been very successful and, as a result, has recently opened a second location. The number of haircuts decreased in the 1960s as men started sporting longer styles. In the past few months, though, they have seen a dramatic increase. In fact, barbering is now the fastest-growing profession in the United States. Men are becoming more image-conscious. Instead of long hair, they are now sporting short styles, which require regular upkeep. Beards and hot shaves are becoming popular again. But fashion is constantly changing. Once another hairstyle trend appears, it’s possible that barber shops could suffer once again. While many men have never set foot inside a barber shop and have instead gotten their haircuts at salons, more and more are preferring the quality of the haircuts found at barber shops. Plus, salons tend to focus on women who require complicated styles that take an hour or longer to do. The advantage of a barber shop is that it focuses on men’s haircuts, which are short and sweet. Barbers are able to see more customers in one day, which is why they are enjoying excellent revenues and prospering. Leasing retail space can be a complicated endeavor. Businesses want to position themselves into prime locations so they can earn as much revenue as possible. However, leases can be costly and the prices can range dramatically based on the location. Plus, there are parking limitations and other restrictions to consider. 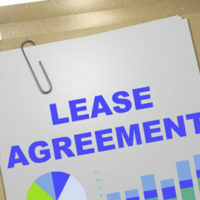 If you are a business looking to negotiate a lease, hire a professional who can guide you through the process. Orlando commercial and retail lease lawyer B.F. Godfrey from Godfrey Legal can help you understand the process and pinpoint issues. He has more than 30 years of experience in this area. Contact Godfrey Legal at (407) 890-0023 for a consultation.